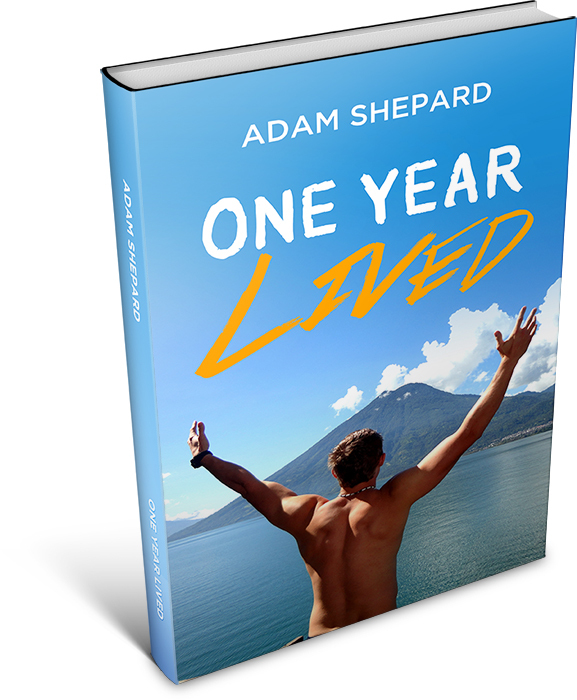 The Stroke Blog: One Year Lived by Adam Shepard + An e-Book Giveaway! 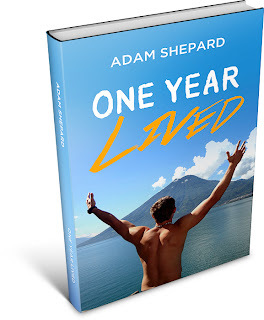 One Year Lived by Adam Shepard + An e-Book Giveaway! Adam Shepard, author of Scratch Beginnings (2010), is releasing his second book, One Year Lived, this month. 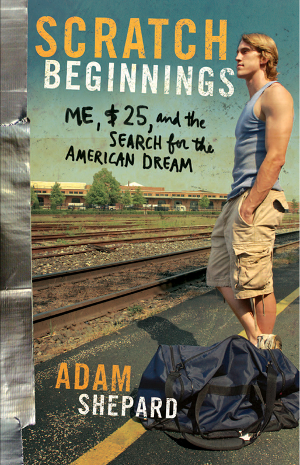 In part one of Adam's journey, he set out with $25 and the clothes on his back to explore what the American Dream meant in 2010 (and if it still existed at all). 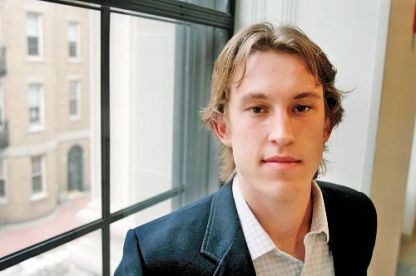 His goal was to get a job, get a furnished apartment, save $2,500, and be in a position to continue his success (either going to school or starting a business) - without using his previous contacts or education. After Scratch Beginnings, Adam spent years workings as "the world's slowest bartender." Then he decided to "get missing" for a year. In One Year Lived Adam set out to explore the world, seeking to inspire young Americans to get out there and "arm themselves with a broader perspective." Adam asks a question many in Gen X ask: do young Americans really know what's going on in the world? Adam set out to travel the world with less than $20,000, reaching seventeen countries and dipping into various cultures. He describes his journey as, "a spirited blend of leisure, volunteerism, and enrichment." He read 71 books (including one - slowly - in Spanish), dug wells, rode an elephant, got a mullet, bungee jumped, visited Auschwitz, and fought bulls. "I'm just concerned that some of us are too set on embracing certainty. We want life to be cushy and regimented, but that's not how we can create a lasting impact on our lives and the lives around us. There's only so much you can learn in the classroom. Sometimes you have to get out there to experience it, touch it, feel it, to see it for yourself. It's fascinating the perspective we can gain when we step out of our bubbles of comfort, even just a little bit." Talking to many, many students who have studied abroad and many, many travellers, I would have to agree. But I'm curious, since it is resource intensive to travel, if Adam can distill what we get from travelling abroad into suggestions about how we can get those things by travelling closer to home: in your city, state, or the country next door. I know Adam advocates leaving your country's borders to learn and grow, but even if it's a priority it's simply not an option for many. I'll be pouring through his book (once I finish writing the last papers of my postgrad degrees! eek!) to find out. "I wasn’t angry. I didn’t hate my job. I wasn’t annoyed with capitalism, and I was indifferent to materialism. I wasn’t escaping emptiness, nor was I searching for meaning. I have great friends and a wonderful family. The dude two doors down invited me over for steak or pork chops—my choice—one Sunday, and I couldn’t even tell you the first letter of his name. Most of my teeth are natural. I had enjoyed some nominal success: a few books to my name, a bunch of speaking engagements across the country, a new audio program for teenagers. Sure, the producers of The Amazing Race had rejected all five of my applications to hotfoot around the world—all five!—and my girlfriend and I had just parted ways, but I’d whined all I could about the race, and the girl wasn’t The Girl anyway. All in all, my life was pretty fantastic. But I felt boxed in. Look at a map, and there we are, a pin stuck in the wall. There’s the United States, about twenty-four square inches’ worth, and there’s the rest of the world, about seventeen hundred square inches begging to be explored. I looked back, and I looked forward. This life is serious: I want the wife, I want the babies, I want the business success, and I understand the work that is required ’til the wee hours to get them. But I didn’t want to leave any experience unlived before that happened. I felt as if I was a few memories short, as if there was still time for me to go out there and get missing for a little while. Bust out the List o’ Good Times, sell my car, store my crap, stuff a backpack, buy a small mountain of Reese’s Peanut Butter Cups, and hop on a plane. Just this once." Interested? 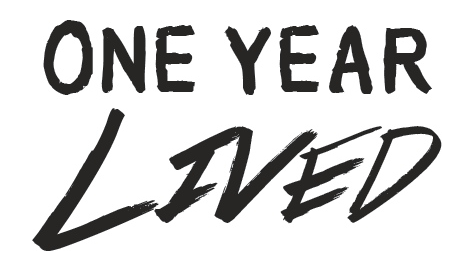 Adam has graciously offered one e-book copy of One Year Lived to one of you! Enter below to win. Contest closes this Sunday, April 28th. Winner announced here, and across my social media accounts, on Monday, April 29th. disclaimer: i did receive a copy of adam's e-book, however, the opinions expressed in this post are my own. Very nice, Jess. Thank you for writing about my book. Yes, there is PLENTY to be learned on the other side of town or state or one's own country. It's just a matter of stepping outside of our comfort zones. For some, it is feasible to fly down to Central America; for others, of course, it is not. But getting Out There (volunteering at a homeless shelter, playing basketball in the hood, playing tennis at a country club, etc.) allows us a perspective we might not normally achieve. Thanks for commenting! I agree. And there are more ways to step out of our comfort zones than one might think!